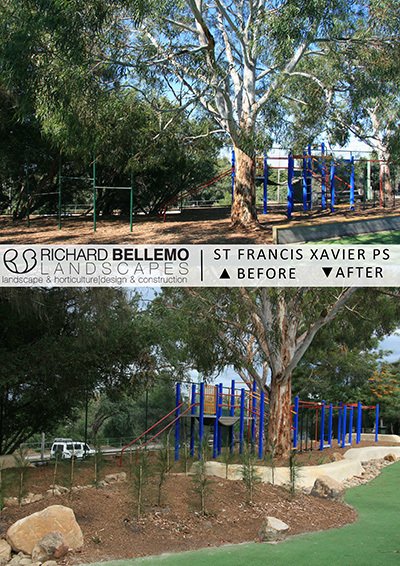 Richard Bellemo and the RB Landscapes team were excited to be given the challenge of re-designing 2 areas constituting most of the open space at St Francis Xavier Primary School in Frankston. 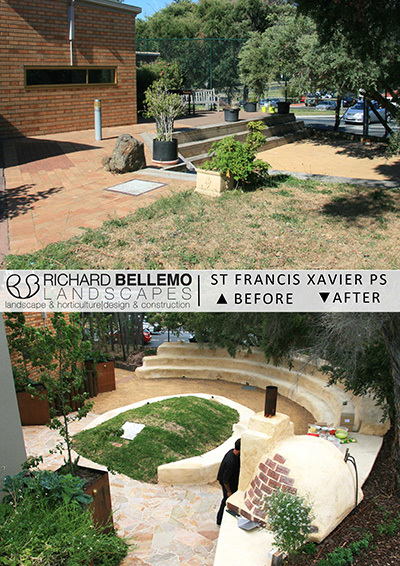 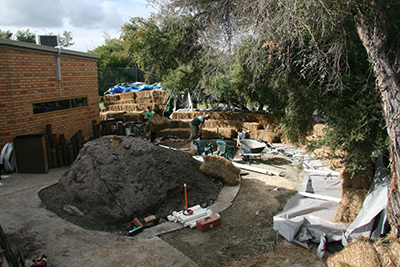 The school desired to transform these existing areas into an outdoor kitchen and entertaining space, and an informal play space. The two initiatives were to be created to encourage student involvement with natural materials and understanding of self-sufficiency and sustainable practices. 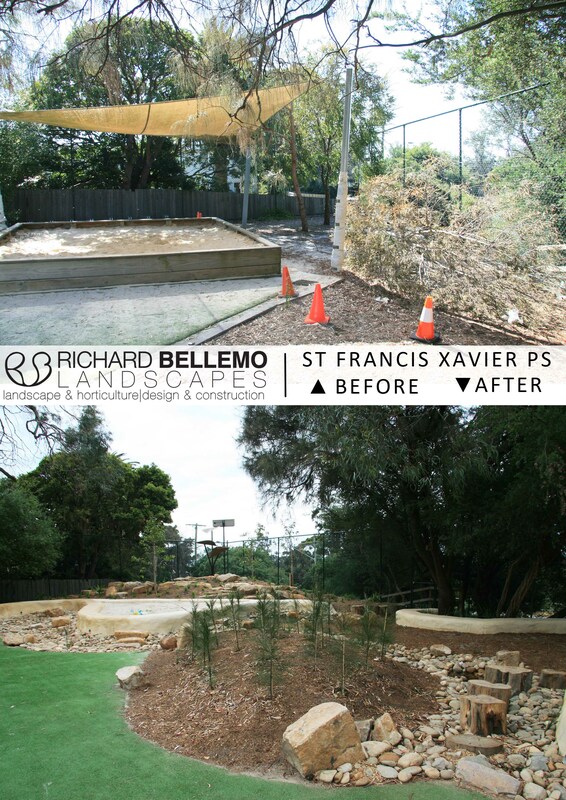 Having successfully met the design brief the RB Landscapes team constructed both areas in the later half on 2012. 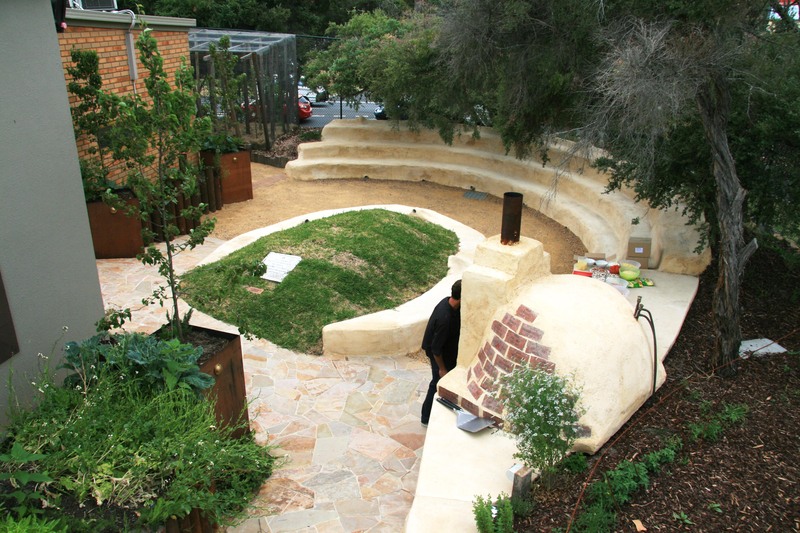 The school is now enjoying their outdoor kitchen hosting an Grand Opening Party with pizzas cooked by Richard using the new wood fired oven.